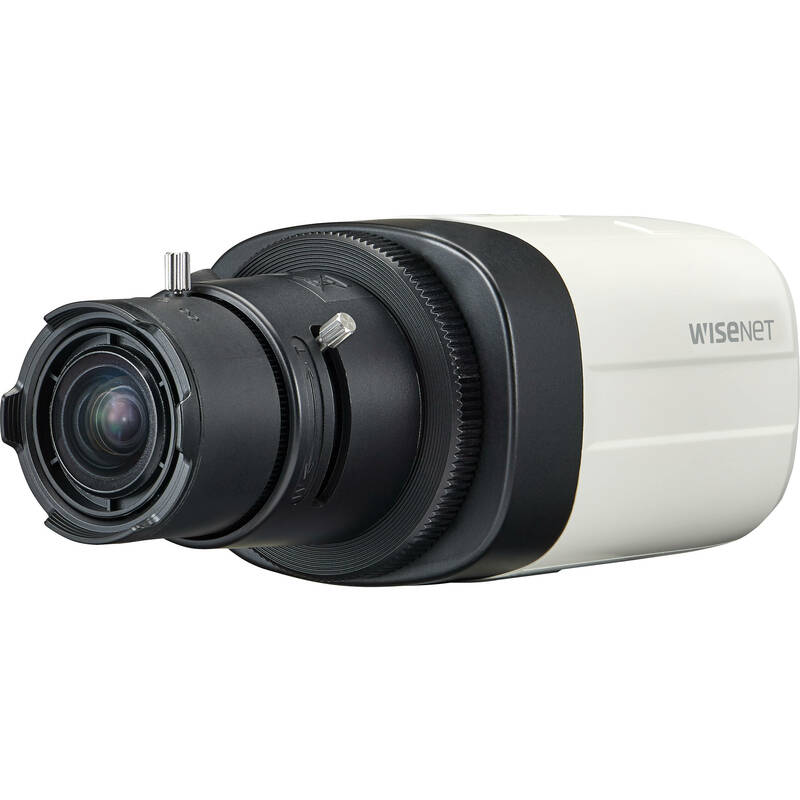 Get the upper hand over challenging lighting conditions with the black-and-ivory WiseNet HD+ HCB-7000 4MP AHD Box Camera from Hanwha Techwin. Equipped with a 1/3" 4MP CMOS sensor, the HCB-7000 transmits video at resolutions up to 2560 x 1440 at 30 fps. It transmits color video in light as low as 0.16 lux, after which the integrated automatic IR cut filter switches to black and white down to 0.0009 lux. The HCB-7000 comes with built-in image enhancing features that include digital wide dynamic range and automatic white balance, and has DC auto iris capability. The HCB-7000 is designed for use with a separately available C/CS-mount lens.